At EverydayHearing.com, we recognize that privacy of your personal information is important. You have certain rights in relation to your data, including the right to object to processing based on legitimate interests, and direct marketing. At any time, you can exercise your rights by emailing us at dataprotection@mvfglobal.com. For further details about our processing and your rights, please see below. 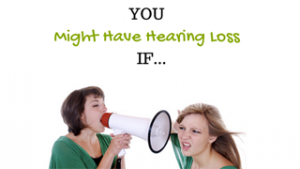 Everydayhearing.com (“our site”) is an online resource which provides hearing information and advice. Everyday Hearing is a brand of Marketing VF Limited (“MVF“, “we“, “us“, “our“). Traffic data. We automatically track and collect the following categories of information when you visit our site: (1) IP addresses; (2) types of computers accessing the site; and (3) types of web browsers used to access the site (collectively “Traffic Data”). Traffic Data is anonymous information that does not personally identify you but is helpful for marketing purposes or for improving your experience on the site. Information submitted relating to a request for quotes. On our site, there are opportunities to request quotes for certain products and services through completing online webforms. If you choose to complete our webform it will ask you for your contact details including, but not limited to, (1) your name (2) email address (3) telephone number (4) post code. Our webform may also ask you for information regarding your circumstances which are relevant to your request. From time to time we change our webforms and so they may ask you for other information. It will always be clear from the webform what information we’re requesting, and we only request information that is relevant to your request, and the service that we’re providing. If we call you to confirm your details or requirements, we may ask you for some additional information. We may monitor and/or record these calls for the purposes of quality control and staff training. Also, occasionally, we may need to provide Suppliers (as explained below) with limited access to such recordings in order to resolve queries and disputes. Information provided when contacting us. If you communicate with us by e-mail or post messages, any information provided in such communication may be collected as personal information. To contact you about your enquiry. If you contact us, we will use your information to handle your enquiry and correspond with you. Working with Third Party Providers. We share contact data with our Third Party Providers who assist us by performing core services (such as fulfillment, or data storage and security) related to our operation of the site. These include cloud storage providers, email service providers, and cloud telephony providers. We have appropriate contracts in place with such Third Party Providers to ensure the protection and confidentiality of data. To connect you with relevant Suppliers. If you submit our webform in order to request a quote, we’ll pass your request to one or more relevant product or service suppliers (named on the webform) (“Suppliers”). We will do this in a secure way. For example, using HTTP Secure (HTTPS), which means the data is encrypted. The Suppliers then contact you directly with your quotes. They may contact you by telephone, text/SMS or email. Before we pass your request to any Suppliers, our service may involve an element of automated decision-making. Our technology platform may automatically assess your requirements and pass your request to such Suppliers that would like to receive requests for quotes at the time your request is made. We store IP addresses in order to stop unwanted traffic (i.e. spam) to our site. For example, if we become aware that spam is coming from a particular IP address (i.e. computer or location), we can block that IP address. From time to time, we also share IP addresses with Suppliers to enable Suppliers to verify that requests for quotes have come from a particular country. To call you to confirm your details or requirements. Before connecting you with relevant Suppliers, we may call you to confirm your details or requirements. We may also call you to ask about your experience using our site and service, and dealing with the Suppliers with which we connected you. Withdrawing your consent – If, at any time, you wish to withdraw your consent to be contacted by us or the Suppliers regarding your request for quotes, you can exercise this right by accessing our preference centre https://preferences.safe-click.net. To email you about similar products and services – But only if you haven’t opted out of such emails. If you use our quote request service, then, as an existing user, we would like to email you, or send you text/SMS messages, about similar products and services for which we think you might like quotes or information (“Other Products“). You will always be given an opportunity to opt out of such messages before we send them, and we will not send such messages if you have opted out. To create custom and lookalike/similar audiences. We like to work with Facebook, Google and other platforms (“Platforms“) to reach out to you with adverts for other products. We also like to use Platforms to reach out to other people who might like to use our quote request service. We do this in two ways. In both cases, your data, along with other data, is used to create a custom audience and/or a lookalike/similar audience. Whenever an audience is shared with a Platform, the data is first hashed and pseudonymised, meaning that any data within the audience that could identify a person is replaced with an artificial identifier. So, the process is secure. Also, we don’t share more data than we need to for the purpose of creating the audience. -Custom audience– A custom audience is a list of existing users of our service (“Existing Users“). From time to time, we share this with Platforms. As explained above, the data is first hashed and pseudonymised. The Platform uses this audience to show our Existing Users our adverts for Other Products. -Lookalike/similar audience– A lookalike/similar audience is an audience created by the Platform. From time to time, we share with Platforms a list of Existing Users. The Platform uses this list to find and create lookalikes – i.e. other Platform users who have similar characteristics to the Existing Users – to which it shows our adverts. Again, as explained above, the data is first hashed and pseudonymised. Receiving data from Suppliers. From time to time, Suppliers may return data to us. They may do this if they have a query regarding a request for quotes that we have sent to them in order to enable us to resolve the query. They may also return data to us, together with confirmation on whether or not a product has been purchased, in order to enable us to improve our marketing. We may also use such data to create custom and lookalike/similar audiences, as explained above. Receiving data from our Affiliate Partners. Our site contains Affiliate Links, which will direct you to our Affiliate Partners’ sites. From time to time, our Affiliate Partners may share data with us. In most cases, they do this anonymously (i.e. they don’t provide us with any personal data). If you visit their site from our site, and subsequently purchase their product, they will tell us. We don’t use this information for any purpose, except to record the number of visitors from our site who have purchased our Affiliate Partner’s product. We may make commenting available to you on certain pages. Please understand that any information that is disclosed in these areas becomes public information. We have no control over its use and you should exercise caution when deciding to disclose your personal information.